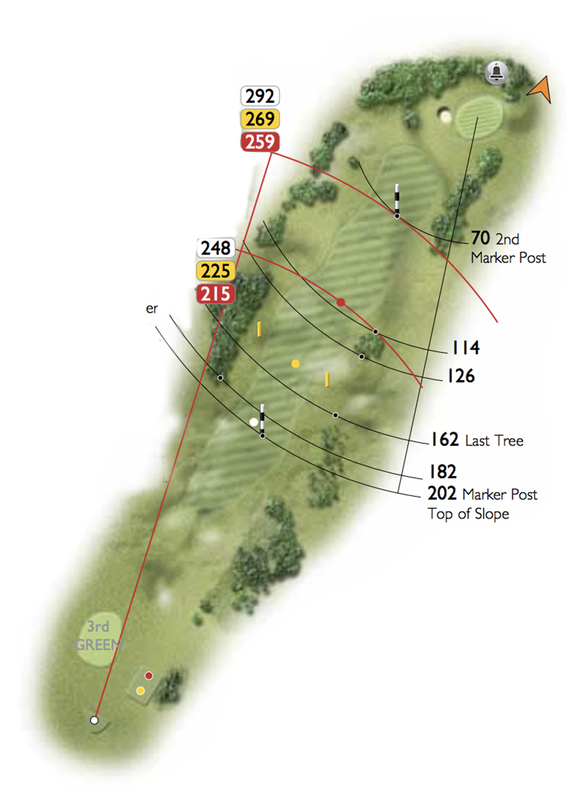 A blind tee shot over a well positioned marker post, followed by a second shot over a hill to a green set in a bowl. Care with the second shot as anything short will run into trees on the right hand side of the green. A bell at the back of the green should be rung as you leave the green to indicate to those behind that the green is now clear.